The first large-scale exhibition in Japan to comprehensively survey Foster + Partners, the international architecture and design studio led by Norman Foster. 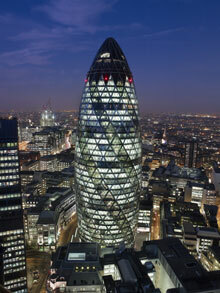 Founded in 1967 by architect Norman Foster, Foster + Partners is an international architecture and design studio that has completed more than 300 projects in 45 countries around the globe. They have created numerous contemporary architectural masterpieces that will be familiar to anyone who has travelled to the cities concerned, including the London headquarters of Swiss Re (known locally as The Gherkin) and the Reichstag, which houses the German parliament and has become a major tourist attraction in Berlin as the symbol of German reunification. As well, they are involved in a series of projects that could be said to epitomize innovation in architecture, including the new Apple Campus 2, and lunar habitations made from lunar soil using a robot-operated 3D printer. Throughout its history, Foster + Partners has consistently pursued such universal themes as "tradition and the future" and "humans and the environment" as they create architecture and cities based, on innovative ideas. "Architecture Urbanism, Innovation" will be the first exhibition in Japan to comprehensively survey Foster + Partners' design activities over the last half century through a vast array of items including models, videos, furniture, computer graphics, products, plans and sketches focusing on around 50 representative projects.